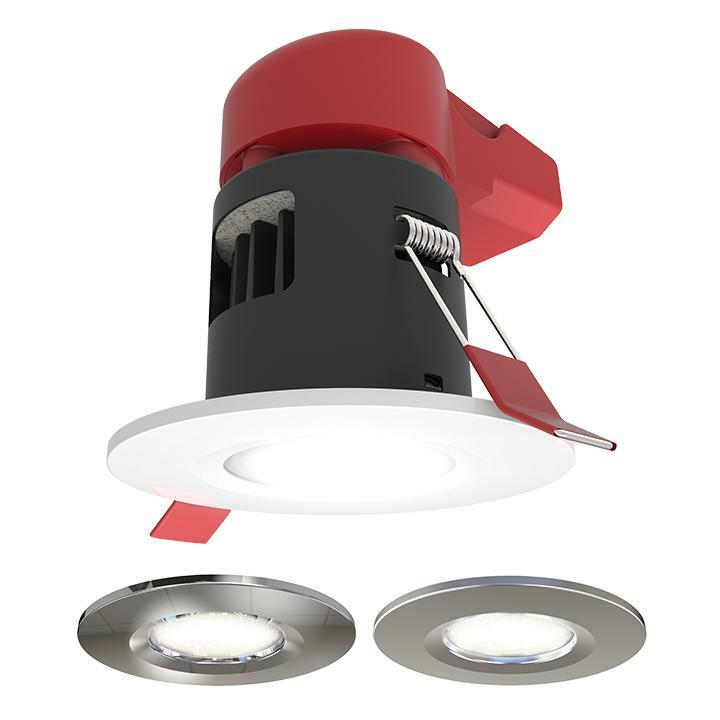 The Prism colour selectable 8w LED IP65 Fire Rated downlight is ideal for a host of installations, supplied with 3 bezels as standard matt white, chrome and satin chrome. The integrated switch allows the installer the choice of colour temperature options: 3000K, 4000K and 6500K. The Prism is complete with an integral driver with terminals for ease and speed of installation.